Safflower has been grown as an agricultural crop for thousands of years. 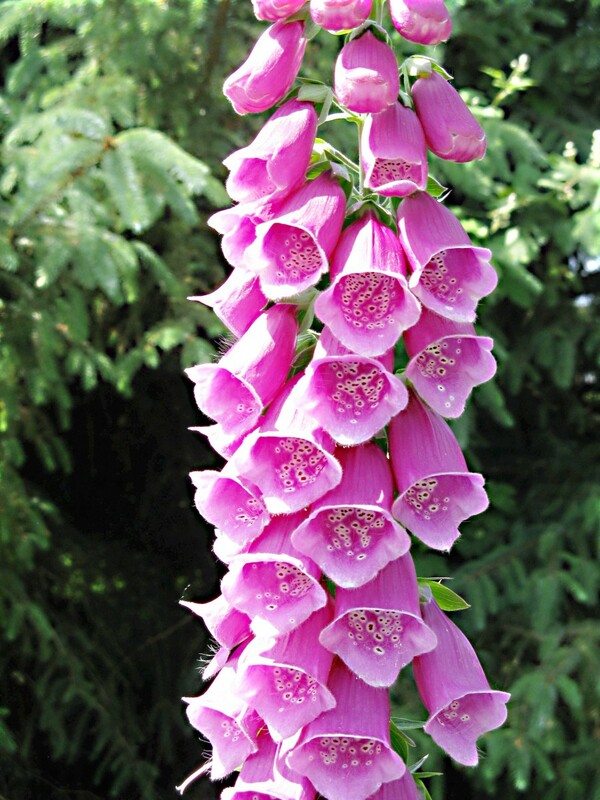 It was a popular plant in Ancient Egypt and Greece. It has an attractive yellow, orange, or red flower head containing multiple flowers. The plant also has broad, dark green leaves with spines on their edges. 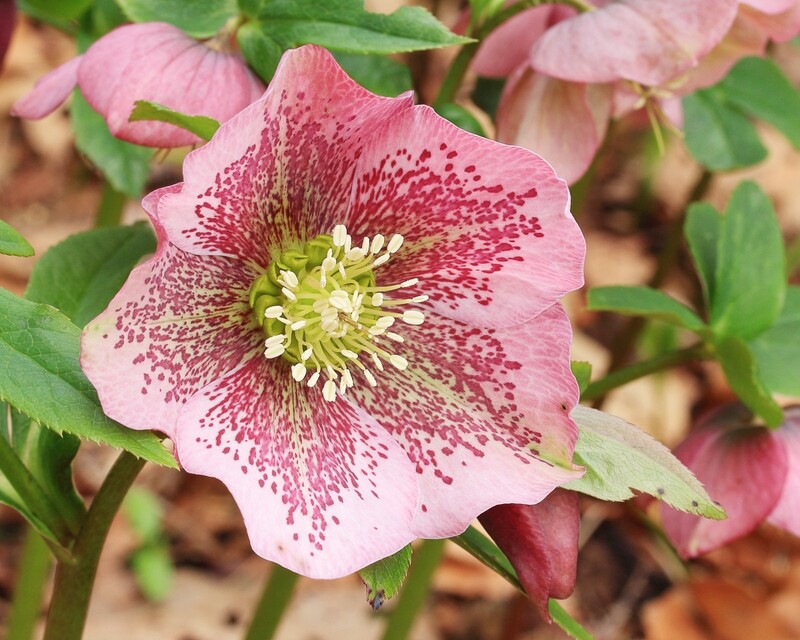 A dye can be extracted from its petals and a vegetable oil can be pressed from its seeds. This oil is useful in cosmetics as well as in the kitchen. Safflower might one day be helpful in the production of insulin for treating people with diabetes. Scientists have managed to insert the human insulin gene into safflower plants. The gene becomes active and the plants produce insulin, which is present in their seeds. The technology has been abandoned for now but might be investigated again in the future. 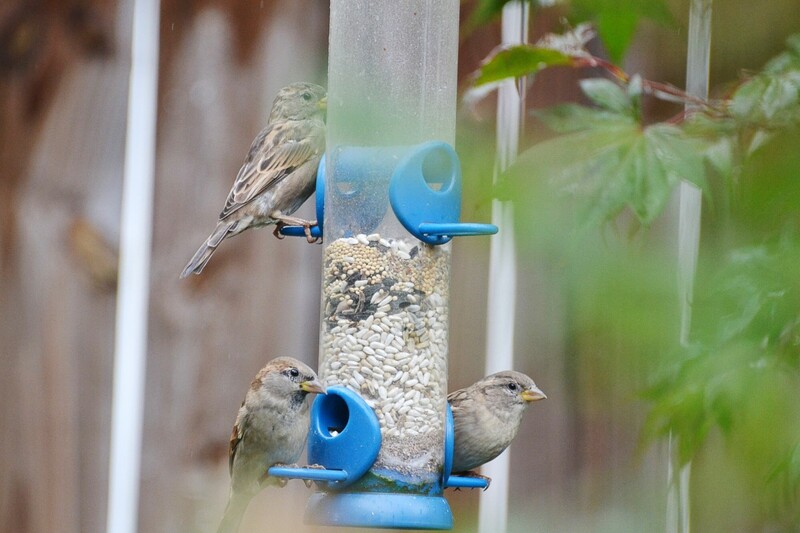 Safflower seeds are sometimes used as birdseed for feeders. Many smaller birds will eat them. Squirrels, blackbirds, and grackles typically avoid them. Experts say that birds may need to be introduced to safflower seeds gradually. Safflower has the scientific name Carthamus tinctorius. 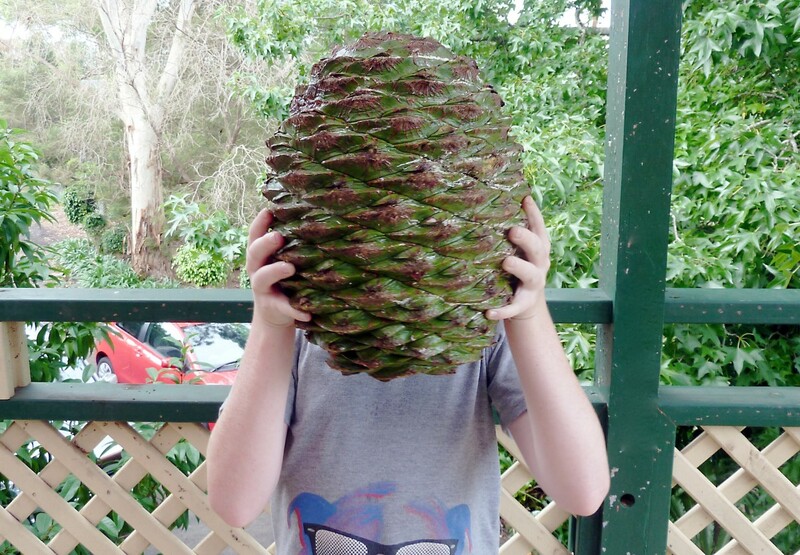 It's an annual plant that reaches a height of one to four feet. The plant is native to the Mediterranean region, Africa, and Asia but is grown in many other parts of the world today. It's a member of the aster family, or the Asteraceae, the same family to which sunflowers and daisies belong. The family has composite flower heads (ones containing multiple flowers) that are technically known as inflorescences. The individual flowers in an inflorescence are sometimes referred to as florets. 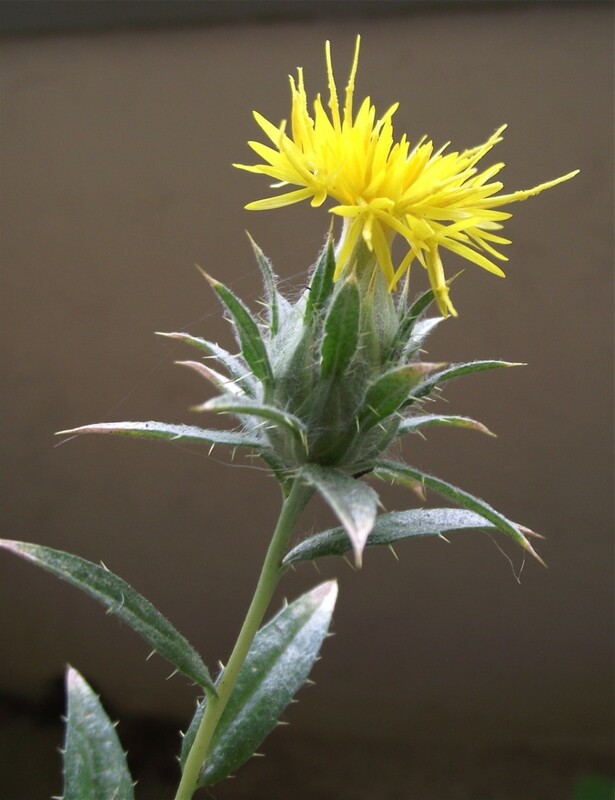 The flowers (or florets) of safflower have projecting stigmas and styles and the mature leaves have spines on their margins, making the plant somewhat look like a thistle. The spines also make it difficult for someone to harvest the plant by hand, unless the person wears protective gloves. Safflower is adapted for life in dry environments and has a long taproot to reach water sources far below the soil surface. The seeds of the plant are small and white. They contain a high concentration of protein as well as oil. The oil is used as a cooking and salad oil. It's also used in baking and to make margarine. The meal that is left after the oil is extracted from the seeds is often fed to livestock. Safflower oil has a light texture and is clear and colorless. It has no odor and almost no flavor. Since it has such neutral characteristics, it's a popular oil in cosmetics. Safflower oil doesn't turn yellow with age, so it's also useful in varnishes and paints. Two types of safflower oil are available commercially—one that is rich in polyunsaturated fatty acids (especially linoleic acid) and another that is high in monounsaturated fatty acids (especially oleic acid). These different types of oils are created in plants that have been produced as a result of selective breeding, which is the breeding of plants that have the desired characteristics. Heating oils to high temperatures can damage them and may even produce dangerous substances, but monounsaturated oils and saturated fats resist the damage better than polyunsaturated oils. Therefore while monounsaturated safflower oil can be used to cook foods, polyunsaturated safflower oil should be used only on foods at room temperature or lower, such as salads. High oleic safflower oil (oil that is highly monounsaturated) is good on salads too, and like other monounsaturated oils has an important health benefit. It lowers the blood level of LDL cholesterol. This is sometimes referred to as "bad" cholesterol because it can trigger the buildup of plaque in blood vessels. HDL cholesterol doesn’t have this effect. In the past, a dye was obtained from dry safflower petals to color clothing, food, medicines, and cosmetics. Today safflower is used by people who like to color fibers for clothing and crafts with natural dyes. 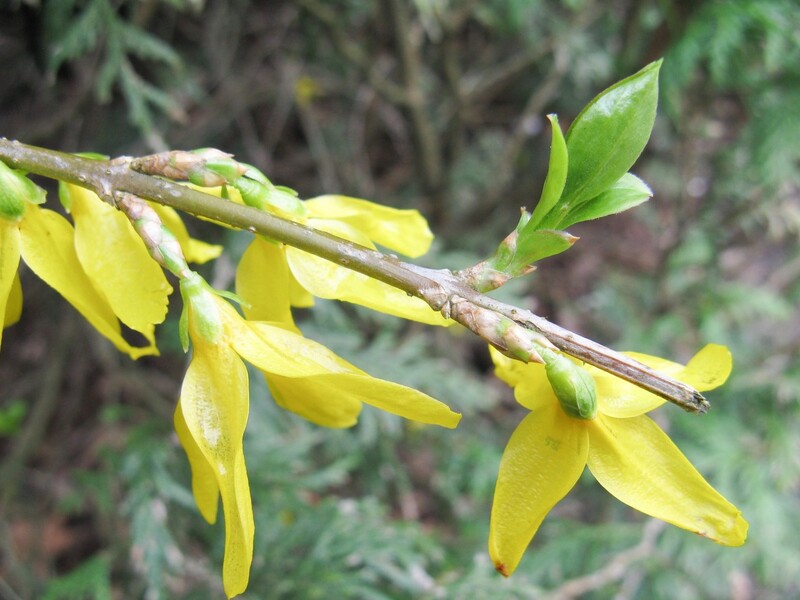 The flowers contain a yellow dye. Orange or red flowers contain a red dye as well as a yellow one. The red dye is called catharmin today but was known as catharmine in the past. As a food additive, it's known as natural red 26. To extract the yellow dye, the petals are soaked in water. 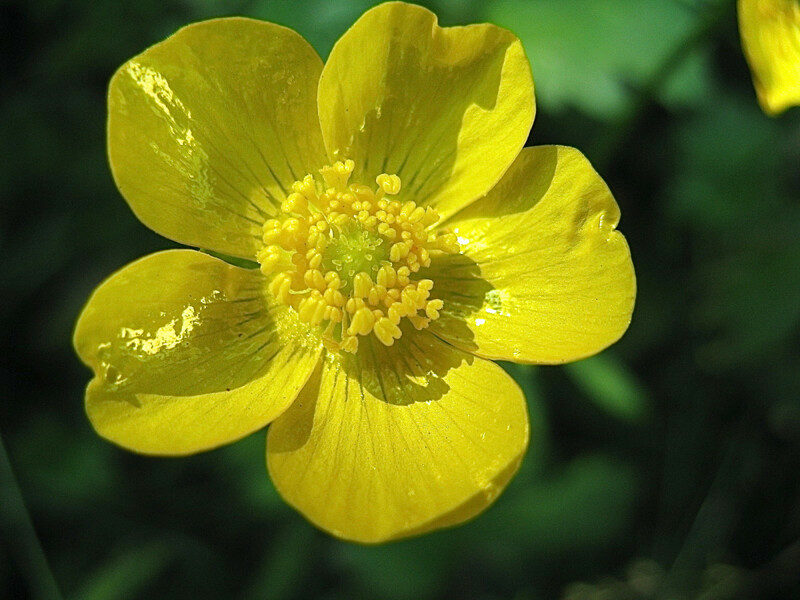 Once the yellow dye has been removed, the petals are soaked in an alkaline (basic) solution, such as one containing ammonia or sodium carbonate. They are then placed in an acidic solution containing vinegar. The last two soakings extract and intensify the red dye. Dyeing with safflower is time consuming but—according to people who do it—very rewarding. The colors are not lightfast, though. Safflower was once used to color the tape wrapped around bundles of legal documents, creating the original "red tape". Obtaining insulin from sources besides the human body is very important in order to help people with diabetes. 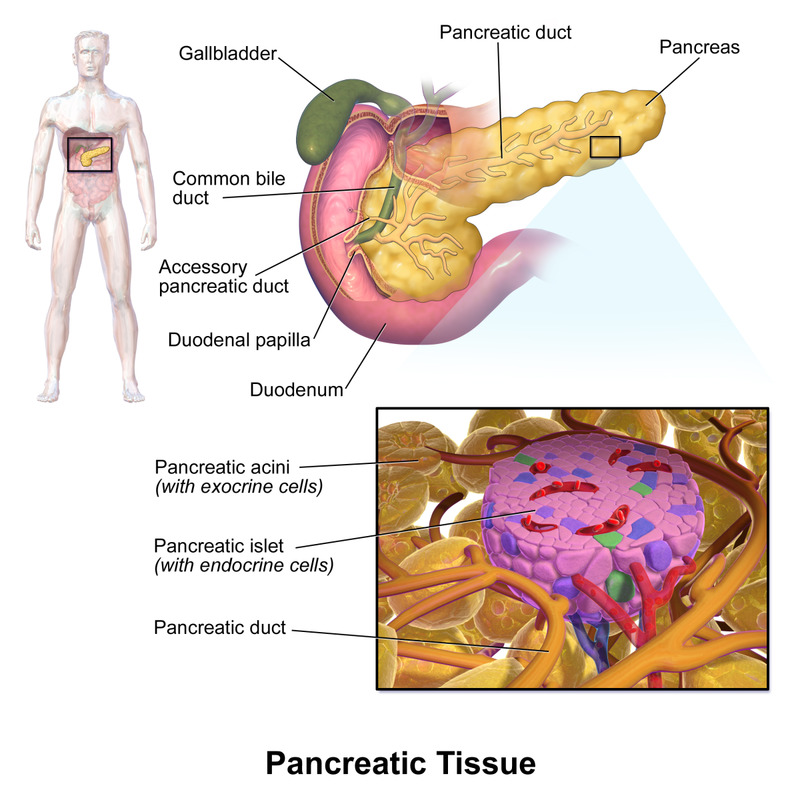 In people with type 1 diabetes, the pancreas doesn't make insulin. This hormone is needed to help glucose from digested food leave the blood and enter the body's cells. It increases the permeability of the cell membrane (the outer covering of the cell) to glucose. Without insulin, the blood glucose (or blood sugar) level becomes too high and the cells don't receive enough glucose to use for energy production. Type 1 diabetes is an autoimmune condition in which the body mistakenly attacks and destroys the beta cells in the pancreas that are responsible for insulin production. The disorder most commonly begins in children and young adults, but it can appear in people of any age. People with type 1 diabetes need to receive replacement insulin. At the moment, this insulin is usually harvested from genetically engineered bacteria and yeasts, although it's sometimes obtained from the pancreas of animals. This substitute insulin can work well, but the hormone obtained from microbes is expensive to produce. In people with type 2 diabetes, the beta cells in the pancreas are still present but the body's cells are no longer responding properly to the insulin that is made. This condition is known as insulin resistance. 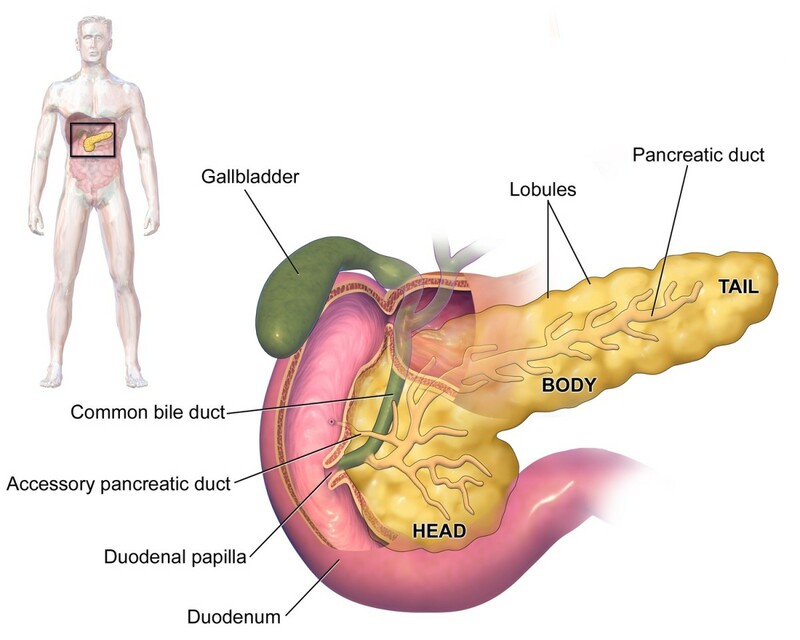 The pancreas may make more insulin, but it can't make enough to trigger the cells to absorb sufficient glucose. Type 2 diabetes most often appears in middle aged and older people, but it may also appear in younger people, including children. A variety of treatments for the disorder exist. In some cases, insulin is prescribed. In 2010, scientists at the University of Calgary in Canada announced that they had found a way to incorporate the human insulin gene into cells of safflower plants. Even though this gene doesn't normally occur in plant cells, it becomes active in safflower cells, enabling them to make insulin. The researchers formed a new biotechnology company called SemBioSys. The company aimed to produce and study a range of safflower products as well as the plant's insulin. The insulin was nicknamed "Prairie Insulin" because safflowers grow so well on the Canadian prairies. The researchers claimed that one acre of safflower plants could produce more than one kilogram of insulin and that this amount was sufficient to treat 2,500 diabetics for one year. They also said that 16,000 acres could satisfy the world's demand for insulin. Unfortunately, the company ceased operations in 2012. It's hard to find out exactly why the idea of obtaining insulin from safflowers was abandoned by SemBioSys. Reports at the time indicated that the process was going well and that the insulin made by the genetically modified plants was identical to that made by humans. Even the Canadian government was supportive of the project. It's been suggested that the act of insulin purification from the seeds was too difficult or too expensive for the company, although this is only an assumption. The creation of transgenic plants or microbes—those containing a gene or genes from unrelated organisms—worries some people. For example, people are concerned that altered plants may enter the food chain or interact with other plants by cross pollination. The technology does have the advantage of producing medically important proteins such as insulin, however. The use of transgenic organisms is increasing rapidly. Growing transgenic plants (or animals) in order to produce pharmaceutical drugs is sometimes referred to as ”pharming.” The name is derived from the words pharmaceutical and farming. The medicinal substances made by genetically modified plants are referred to as plant-made pharmaceuticals, or PMPs. Proteins for human use are already made by genetically modified bacteria that are cultured in large vats. In addition, the purification process for bacterial proteins is very efficient. It might therefore be wondered why we need plants to make proteins for us. One advantage of obtaining desirable chemical from plants is that growing plants is less expensive than maintaining bacteria in specialized equipment. Another is that the plant versions of proteins are often more suitable for human use. 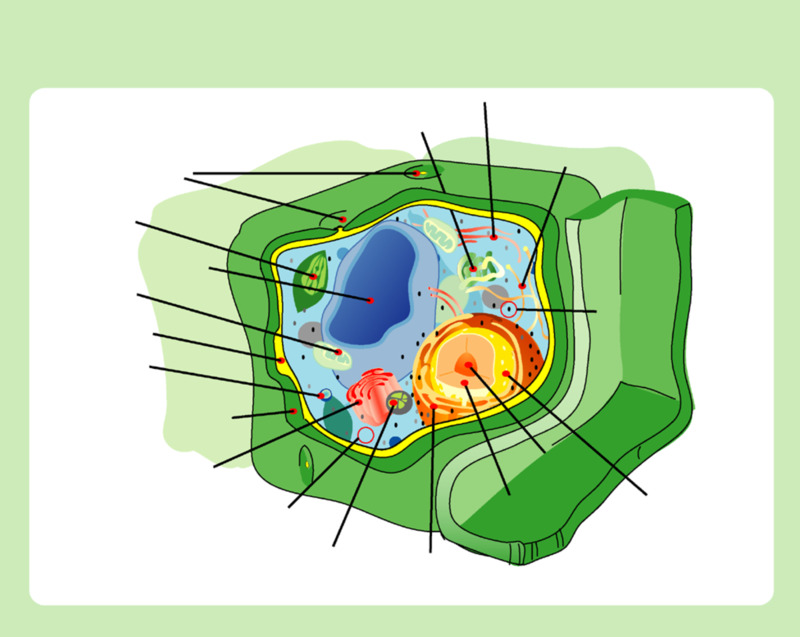 This is because plant cells are more similar to our cells in structure and function. There are some significant differences between bacterial cells and the cells of plants and humans. Instead of growing whole plants, researchers exploring pharming sometimes culture plant cells in reactors for their experiments. These genetically modified cells are kept in a contained environment, like the bacteria used in similar projects. Perhaps the technology for producing insulin in safflower plants will be investigated again and any problems with the technology solved. I hope this is the case, though there‘s no sign that this is going to happen soon. It's a shame that the potential for making a medically useful substance may have been lost. Safflower plants are already useful due to their ability to supply a helpful oil, an interesting dye, and nutrition for birds. Supplying insulin might be an additional benefit of the plants in the future. Thank you for the comment, sofs! I appreciate your visit. Very interesting and informative article. The clinical trials for insulin production was news to me.. thanks for that update. Enjoyed your hub! Hi, daisynicolas. I have read that safflower is sometimes used instead of saffron even though it doesn't have the same taste, but I didn't know that you could buy it in some supermarkets! Thanks for the information. Do you know that safflower is the cheaper version of saffron? Not the same aroma, not the same taste, almost the same color. You can mostly find them in the Mexican section of your supermarkets. Thank you for the up vote and the share, Peggy. Yes, the safflower plant is beautiful, and its future could be very exciting! 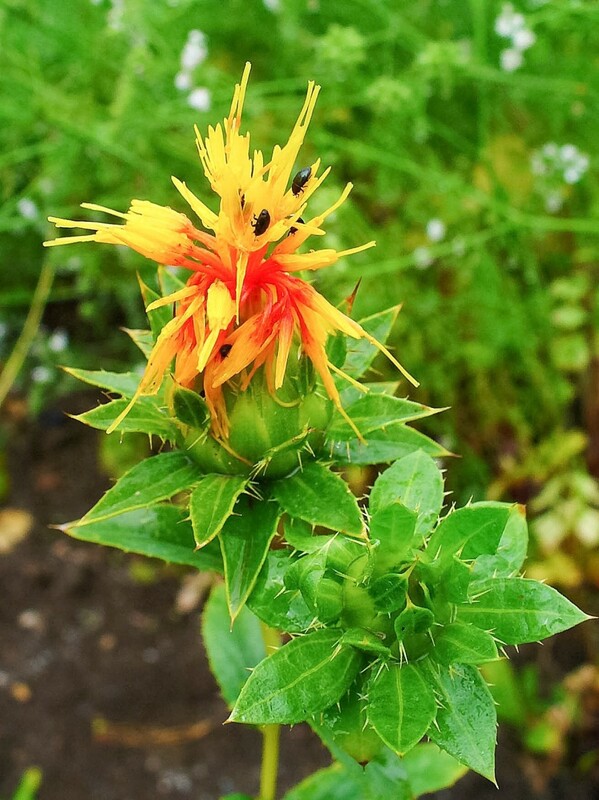 I am familiar with safflower oil but never knew that it had such beautiful flowers nor that the leaves were so spikey. This will be a major breakthough if insulin can be made from these plants and at such a lower cost than compared to the present. Thanks for this interesting and informative hub. Up votes and shared. No, it certainly wasn't a dumb question, Stella! I'm looking forward to seeing how the safflower plant is used in the future. I guess it wasn't that dumb of a question eh? ahaha. We shall see then! Thanks Alicia! Hi, stessily. Thank you very much for the comment. I use safflower oil too, but only the high oleic form. It is a very useful oil, especially when the oil needs to to be heated safely! AliciaC, Safflower oil and sunflower oil are my two favourite oils. I've long used them in recipes because they are healthy and also because they are flavour enhancers and do not overwhelm any recipes. I'm pleased to see this tribute to the lovely, useful safflower plant. Hi, Stella. Thanks for an interesting question! It's hard to predict what the final safflower product will be, since it's not available yet. I think the producers will have to be very careful about the form in which the insulin is supplied. It will have to be a suitable form for diabetics, easy to store without becoming rancid, etc. The reports do say that using genetically altered safflower to make insulin is much cheaper than other methods that are being used to produce the hormone. It will be very interesting to see how - and if - the situation develops! Hi Alicia this might be a dumb question but so if you just consume safflower oil would that be effective against preventing diabetes? Or did they discover that using the safflower is a cheap way to make mass amounts of insulin? This is interesting! Thank you for the comment, Om Paramapoonya. I'm hoping that the tests are successful too, and that the insulin that's made from the safflowers becomes widely available! It's very fascinating that safflower plants can be genetically engineered to produce the insulin hormone. As someone who's genetically predisposed to diabetes, I really hope these studies continue to be successful and become widely acknowledged. Great hub! Thank you for the comment, Imogen! I think that safflower plants are beautiful, too, especially the ones that have orange flowers. It's great that they are useful plants as well. Excellent and very informative hub. It is good to know that genetic engineering is working with nature in a positive way. The safflower is a beautiful and very useful plant, thanks for writing about it. Thank you very much, Nell!! Yes, I hope that scientists prove that the insulin made by safflowers helps diabetics, and also that the insulin can be supplied to countries around the world more cheaply than the current insulin supplies. It would be a wonderful example of beneficial genetic manipulation! Thank you for both the comment and the vote, drbj. As always, I appreciate your visit very much! 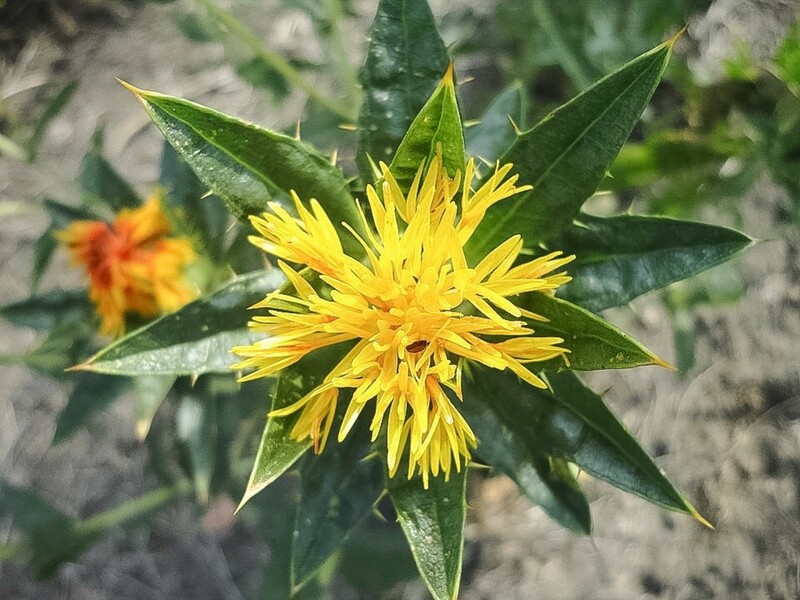 What a marvelous plant is the safflower, and what a marvelous hub you wrote, Alicia, explaining its many benefits as both a vegetable oil, commonly known, and as a potential insulin replacement. Who knew. Voted Up. Hi, theraggededge. It is a very strange thought that a plant is producing insulin, a chemical that isn't normally present in the plant kingdom! Thanks for the comment. Thank you for the comment and the vote, teaches! Yes, as far as oil safety is concerned consumers are often left uninformed, although some oil manufacturers do include information on their websites about the safe heating temperature for each type of oil. I'm happy that my favourite oil maker does describe oil safety on its bottle labels. It's an important topic! Hi, Prasetio. Thank you very much for all the votes! Safflower oil may not be available in some places, but it's a common product in my local stores. Hopefully in the future safflower will be useful for diabetics, although the clinical tests haven't been completed yet. The results of the initial tests are good, though. How interesting! Lots of good info here. I didn't know that plants could produce insulin in that way. This plant is holds many benefits for mankind. I didn't know that if over heated it would cause harmful chemicals, they should post this on the bottle. Thanks for the information, very interesting. Voted up!